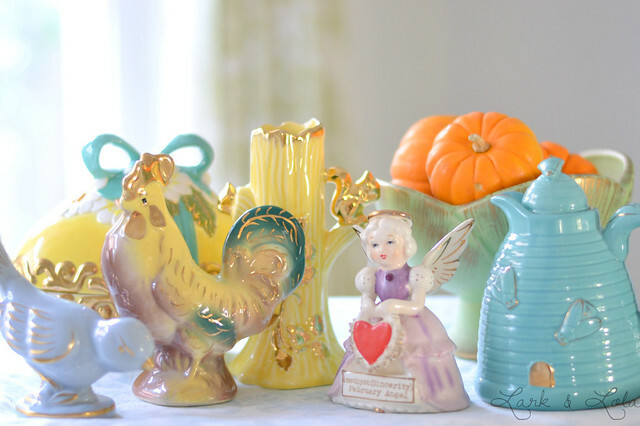 Time to take a look at some vintage goods gilded with gold. These ceramic beauties are sometimes signed and marked as handmade on the bottom, and sometimes they're marked "Made in Japan". Either way, they make for a lovely collection! 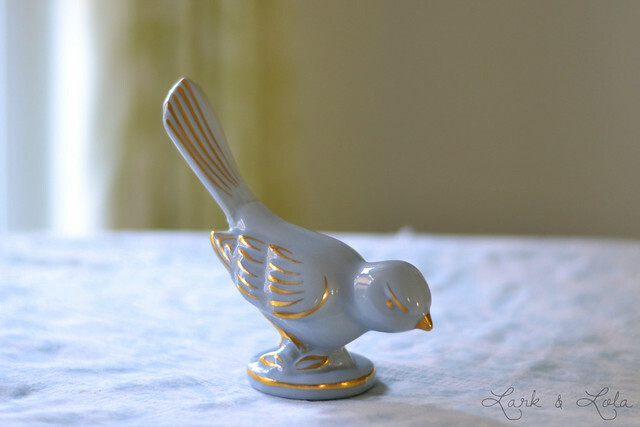 I love all things vintage, which includes these 1950s and 1960s ceramics with gold accents. Recently, they've struck a fondness in me, I've been picking these up at thrift stores. 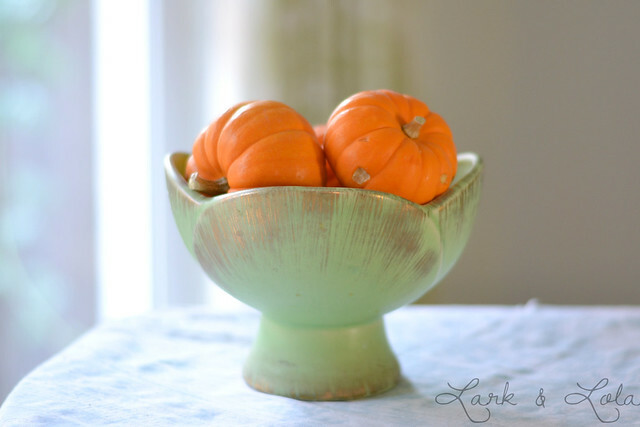 Like this green compote with gold brushed-on accents. 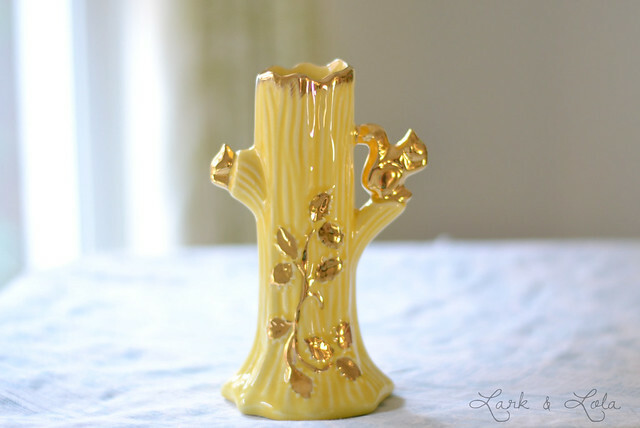 Or this tree stump bud vase, with golden squirrels to boot. 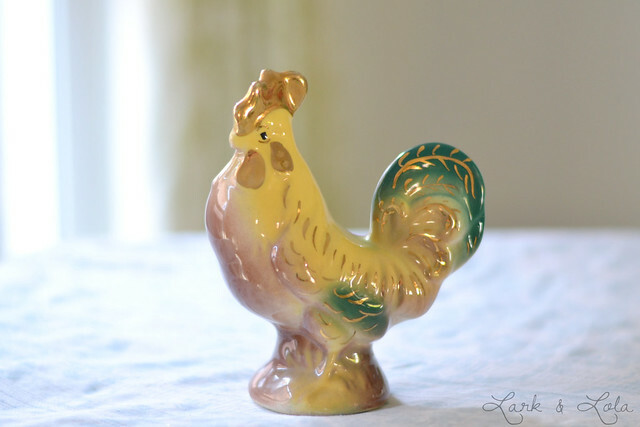 I picked up this rooster most recently. It stands tall, and proud, and colorful with it's gold accents. 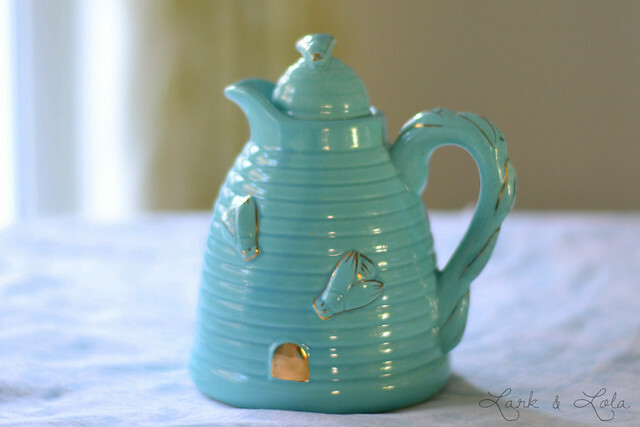 One of my very favorites, the turquoise & gold honey pot shaped like a hive, with bees and a door decorating it. Such a happy piece. This bluebird is probably one of my oldest pieces. It's tail has been broken off and glued back on twice now. 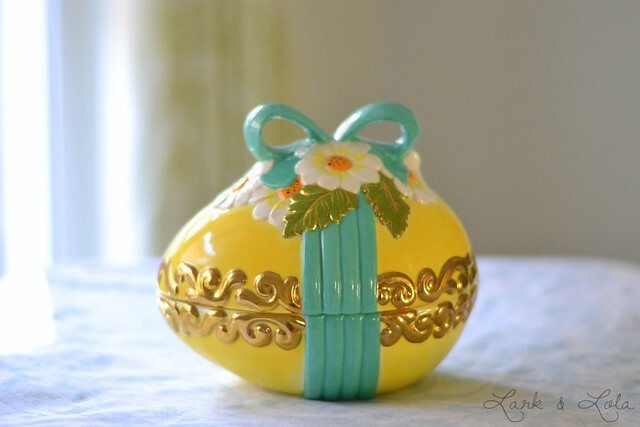 This Easter egg was handmade, it has a signature on the bottom, but I really bought it because I loved the colors and it was such a cheery piece. 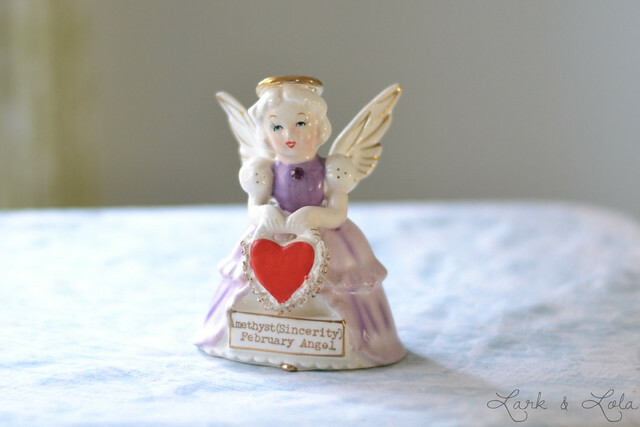 I never planned on collecting birthday figurines, but this February angel stood out to me. Especially with her bright red heart and typewriter font. 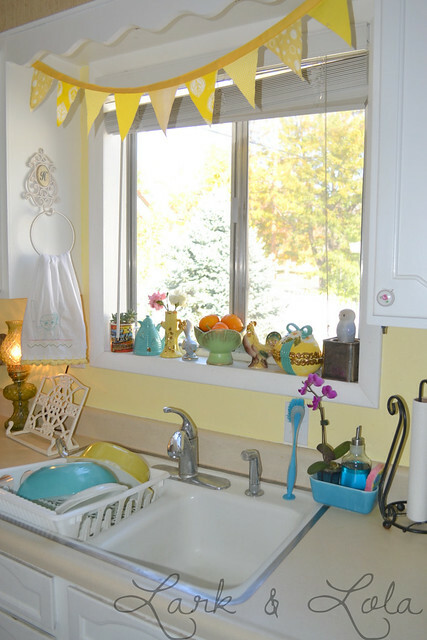 You all know how much I love Pyrex, but this vintage ceramic-ware with the gold accents is really growing on me too!